DHEA is a hormone the adrenal glands produce. The body uses DHEA to create male and female hormones — estrogen and testosterone. 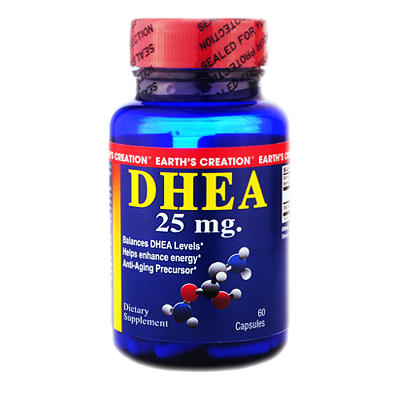 DHEA levels in the body are normally at their highest at age 20 to 25; they decline with age. DHEA may promote sugar metabolism to energy and possibly help with coping with stress and improving the quality of sleep. *Because this supplement may affect hormone levels, we recommend that you consult your doctor on proper dosage before beginning supplementation with this product.